As Ranking Member of the Senate Government Oversight Committee, I am formally requesting you to convene and hold a meeting to review the Iowa Department of Human Services report to determine “root causes” of physical and verbal abuse of residents of the Glenwood State Resource Center, which houses 230 people with severe intellectual disabilities. The Iowa Department of Human Services runs the facility and disclosed in January that seven residents were physically abused and 13 residents were subjected to verbal abuse or neglect. Thirteen staff members were fired or quit over the allegations, and six face criminal charges. The 34-page report was written by the Joint Commission Resources consulting company, which the state hired to investigate what led to alleged physical and verbal abuse of the Glenwood institution’s residents by staff members. The Department says it spent up to $65,000 to commission the report because it wants to understand and fix problems at the facility. I believe it’s imperative that the Legislature review this report closely. That is a large amount of money to pay for a report and recommendations. We need to make that cost worthwhile by very seriously reviewing and making the necessary changes to keep residents safe. I am requesting that the Senate Government Oversight Committee meet next week to review this report. I would ask that you invite the Department to testify to what recommendations they have already implemented, which would take more time or resources to implement and if any of the report recommendations are inconsistent with the Department’s future plans to increase oversight and support to the Glenwood campus. I look forward to hearing from you regarding this request. 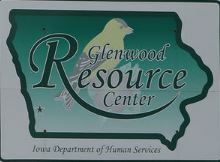 Report on Glenwood Resource Center, which failed to properly train and manage staff, paving way to abuse allegations.